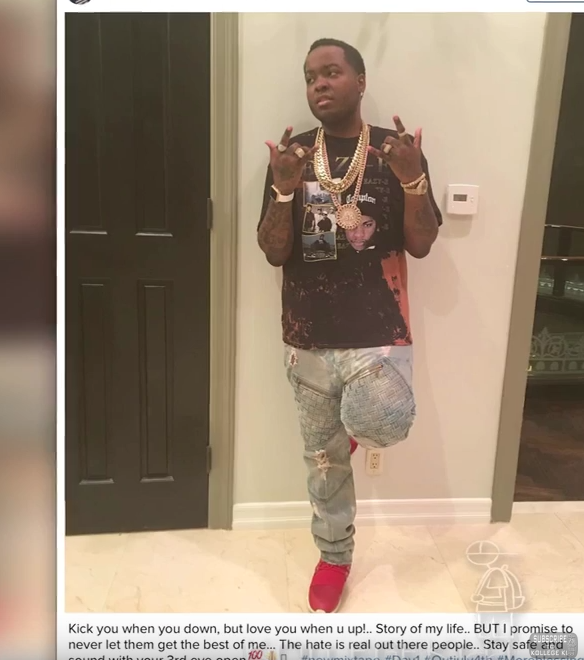 Sean Kingston was allegedly robbed of his $300,000 chain while clubbing in Los Angeles a few days ago, according to TMZ. Kingston was allegedly partying at Penthouse Nightclub and Dayclub when two men attacked him. Kingston’s $300,000 chain was snatched during the scuffle. Kingston and the suspects left before the police arrived. Someone from Kingston’s camp filed a police report. In 2015, Kingston claimed he was kidnapped by a jeweler in a dispute over a $225,000 watch. “Here’s what Sean says … he bought the watch from a jeweler and made payments to the tune of $185k, but didn’t pay the balance because he felt the watch wasn’t worth any more. The jeweler begged to differ and they had a number of arguments. Sean told cops he and the jeweler met Tuesday at 1:50 AM at a downtown L.A. parking lot, to make a trade … he’d give the watch back and the jeweler would give him a watch worth a solid $185k. Yes, it sounds weird. Kingston appeared to have issued a statement on the robbery in a very cryptic IG post where he hash tagged that he got more diamonds.